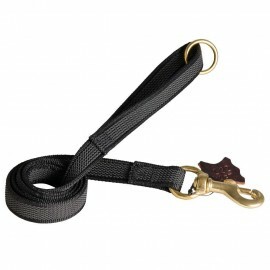 Beautiful and practical nylon dog lead for Labrador will please you thanks to beautiful quality and great design. 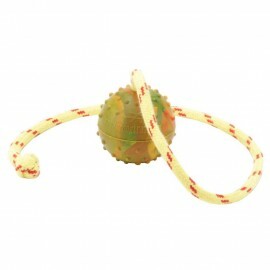 The accessory is hand-sewn from two-layer nylon with the help of sheath threads and equipped with a brass snap. There is a ring on the handle to change the length of the product. 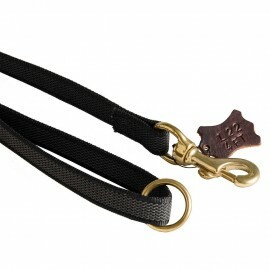 This dog lead is very convenient and easy to use. 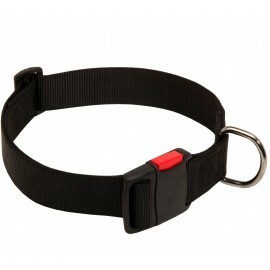 Massive leather dog collar for reliable Labrador handling. 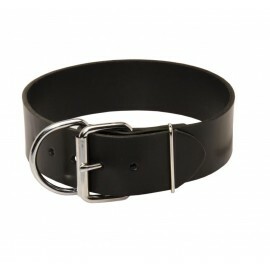 Selected leather with well worked edges. Classic style. Comfort and safety. 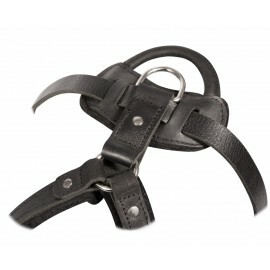 Nickel-plated D-ring for leash and buckle to regulate the size. 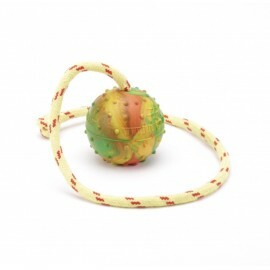 Let your Lab feel pleasure of daily walks and training sessions! 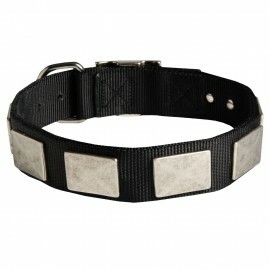 Labrador walking and training collar with large nickel plates. 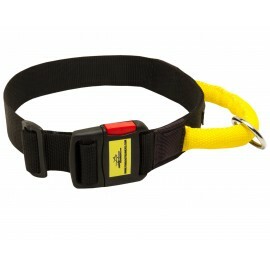 Comfortable and reliable Labrador collar with unusual decor. Nickel-plated hardware is resistant to rust. Nylon is waterproof. Decorative plates are securely fixed with well-polished rivets. Excellent solution for daily activities whatever the weather! 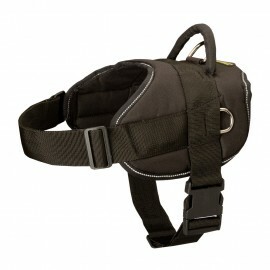 Very convenient and functional Labrador collar for various purposes from walking to training. Nylon. All-weather. Adjustable. Handy in use. Ergonomic handle for dog control. Quick-release plastic buckle. 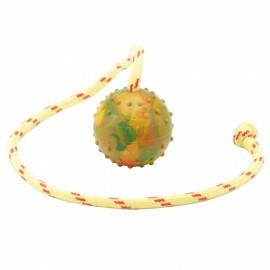 Welded O-ring for Labrador leash walking. Maximum convenient and comfortable.